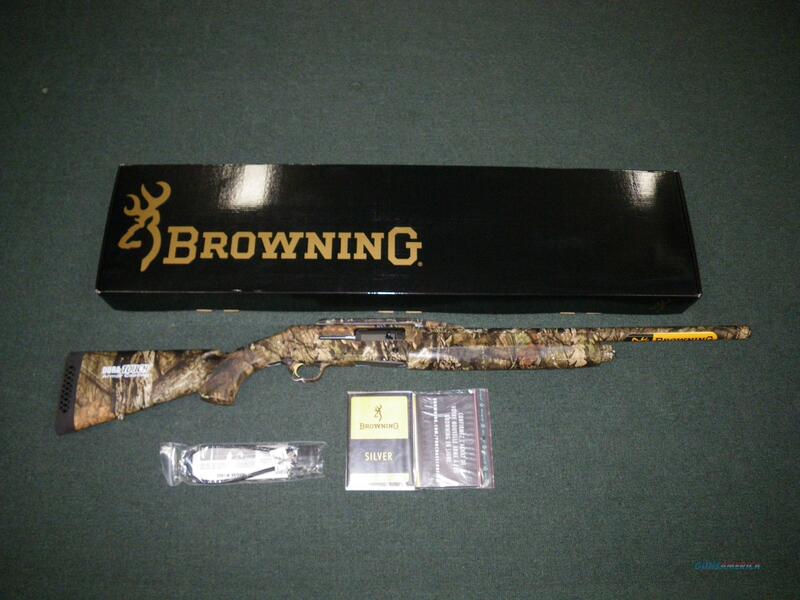 Browning Silver Rifled Deer 20ga 22" #011411621 3"
Description: You are bidding on a new Browning Silver Rifled Deer in 20ga with a 22" barrel and 3" chamber. The Silver Rifled Deer shotgun is an efficient and sleek design, built with the purpose of knocking whitetail flat. The rifle barrel has a three inch chamber and is designed with thick walls to handle high pressure from slug cartridges. The cantilever mount will accommodate a scope, red dot, or reflex sight, for fast acquisition and accurate fire. The cantilever mount allows you to attach a scope to the barrel so you can keep your zero while swapping out barrels for hunting birds or busting clays. This shotgun's length of pull is 14 1/4" and it weighs 6lbs 12oz. Displayed images are stock photos. Any questions please feel free to ask (our phone number is in the additional information tab above).